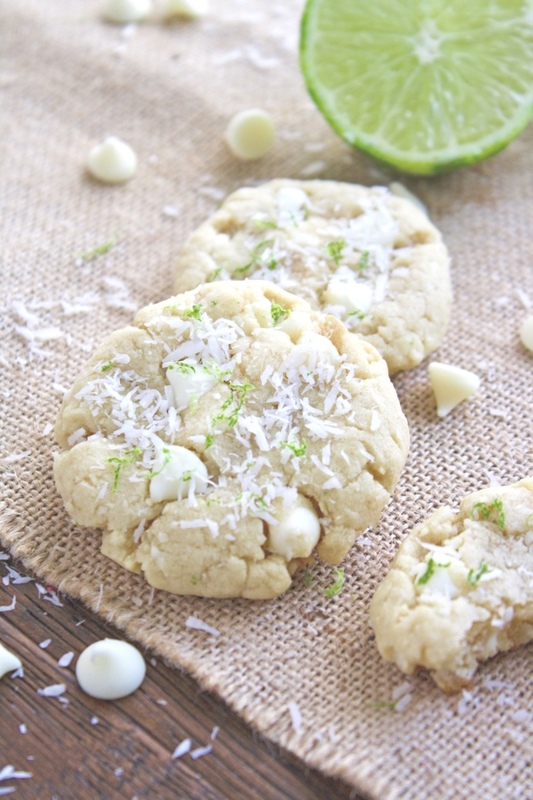 Coconut-Lime White Chocolate Chip Cookies are just what you need to help usher in the spring season. You’ll love the flavor combo in these fun cookies. The temps are soaring here in Phoenix and Spring Training baseball is in full swing (no pun intended, I swear! ), and that makes me think of fun in the sun, a life of leisure, and tropical vacations. Okay, so maybe I have heat stroke because fun in the sun is the only possibility of those things at the moment. And that’s okay, especially when I think about all that snow getting dumped on parts of the country (sorry)! 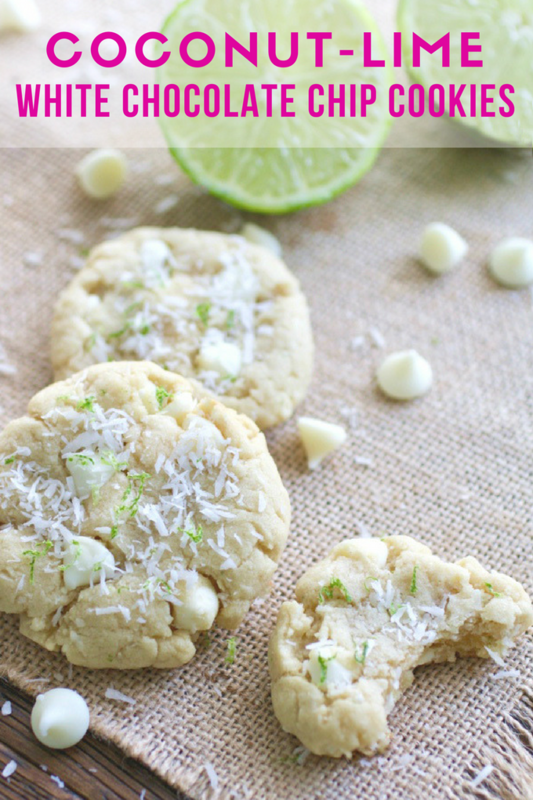 Even though a tropical vacation isn’t on the horizon for me, these Coconut-Lime White Chocolate Chip Cookies make me feel a little like the tropics are within reach. These are perfect springtime cookies (is there such a thing?) and they’d be wonderful to serve as a treat for Easter. It’ll be here before you know it, so the responsible thing to do would be to test them out now, right? 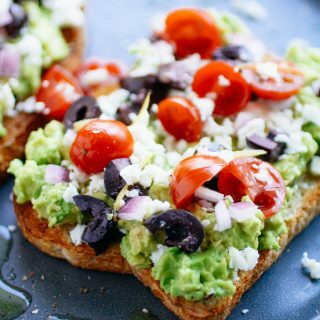 If you’re looking for things to make and serve for Easter, check out a few of my recipes that would make tasty additions to your meal: for an appetizer, try this pea and ricotta spread. It’s pretty, easy to make, and tastes like spring. Serve the perfect side or salad for the day: farro and pea salad with lemon-mint vinaigrette. If you haven’t tried farro, you should. 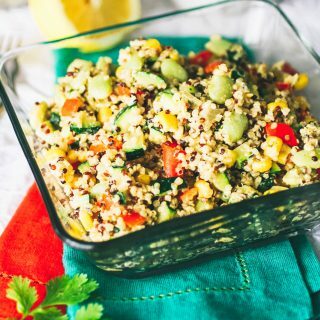 It’s so hearty, versatile, and healthy! You know there will be leftover ham from dinner. Use it to make breakfast or lunch the next day: savory waffles with ham, cheddar, and Brussels sprouts. 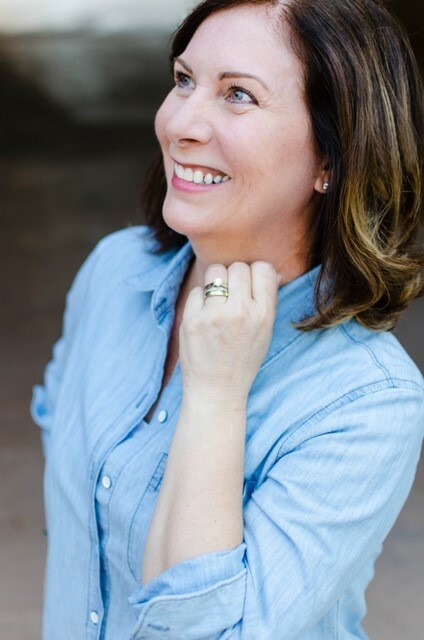 It’s one of my favorite things — fun, right? The dough for these cookies is bit stiff once it’s mixed and that’s because, well, I made a mistake. Oops! I didn’t use as much butter as what’s typically included in a chocolate chip cookie recipe. BUT! I swear you won’t miss the extra butter. You’ll focus on the sweet coconut flavor and the zesty lime. 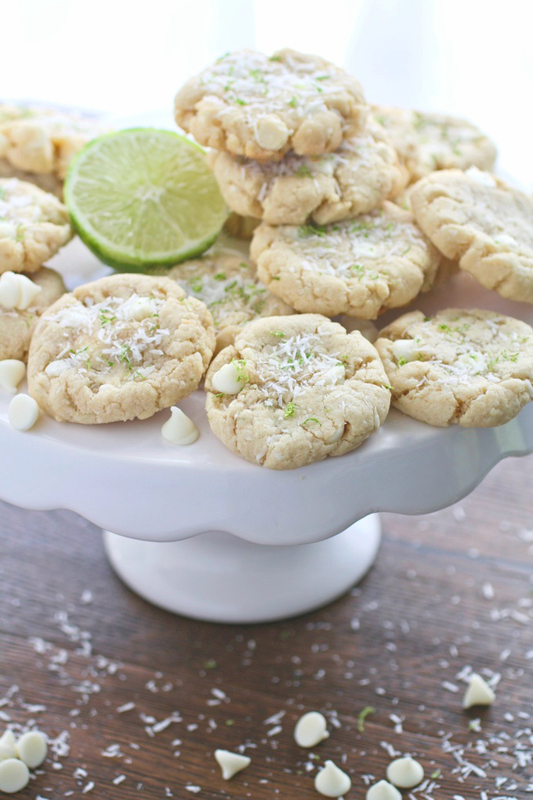 Dotted with chips and sprinkled with shredded coconut and lime zest, not only are these Coconut-Lime White Chocolate Chip Cookies delicious, but they’ll look fabulous on a tray at the dessert table. Try these cookies today — you know — juuuust to make sure you like them (I know you will). As an added benefit, you’ll feel like the tropics are within reach. Or at least springtime! Preheat the oven to 350 degrees F. Line three baking sheets with parchment paper and set aside. In a medium bowl, combine the flour, baking soda, and salt. Whisk to combine and set aside. Add the butter to a stand mixer along with the white and brown sugars. Mix for a few minutes on low-medium speed until fluffy. Add the egg, lime zest, and juice and mix at the same speed for a few minutes to combine. Add the flour mixture, a little at a time, until combined. Add the coconut and mix on low speed until blended. Add the chips and mix on low until combined. Shape the dough into 2-inch balls and place them on the baking sheets about 2 inches apart. Use the back of a spoon to flatten them a bit. Bake for about 8 minutes, or until the bottoms are lightly golden. Remove from the oven and use the back of a spoon to very lightly flatten the cookies. Sprinkle the tops with some of the coconut, and the lime zest. Transfer to wire rack to cool. This look scrumptious! I am the original cookie monster! The pea and ricotta spread is great, too! These look amazing! 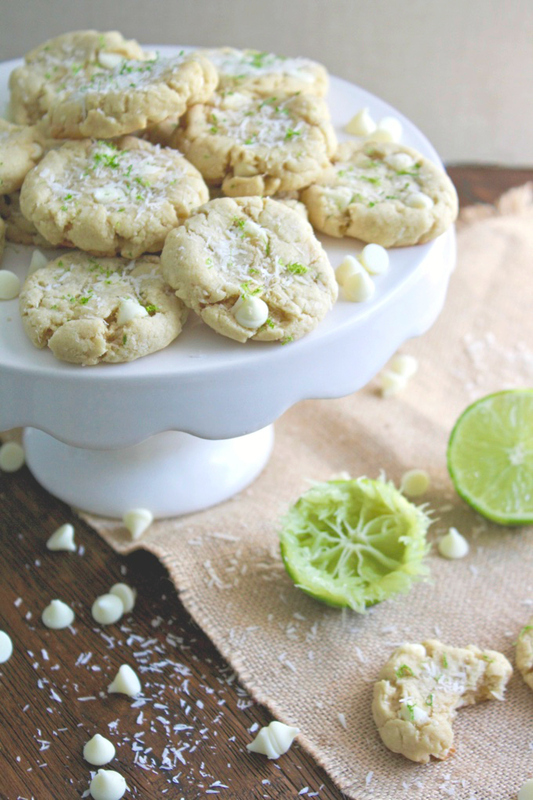 White chocolate and lime together sound heavenly. I want one right now! Thanks, Luci! They were hard to resist! These are perfect cookies for spring! I love the combination of lime and white chocolate. Yum...this is like a tropical cookie. Full of coconut and tropical lime flavor. With a hint of chocolate. I'll take a dozen. Delish! These cookies look amazing! I've never had anything coconut and lime flavored, but it sounds like a great combination. Thank you, Danasia! I hope you get a chance to try them! You had me at coconut and lime! This looks sinful...and yummy. I'm going to save this to my YumPrint account. Thanks, Ola! Hope you enjoy them! 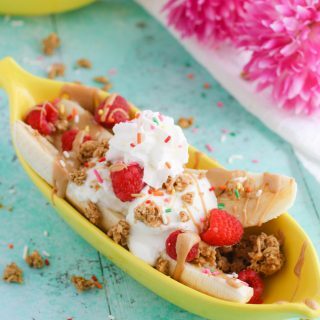 Yum that looks and sounds amazing! Im def going to try this! 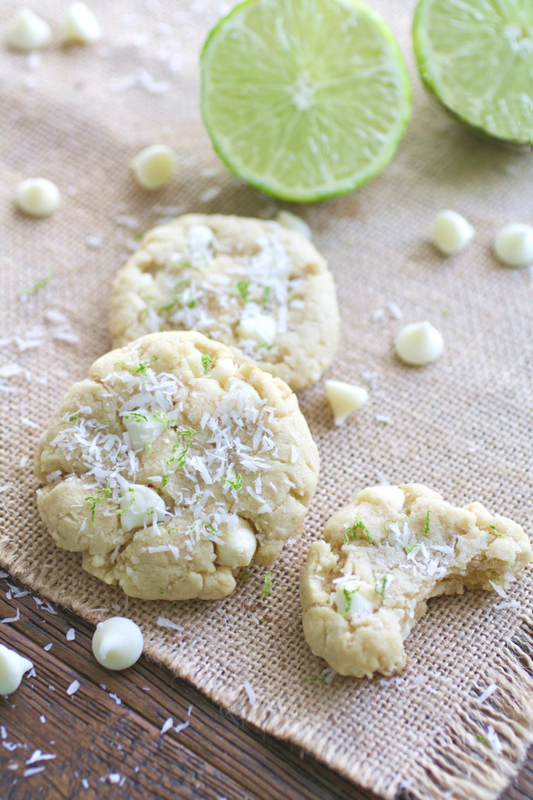 Coconut and lime with white chocolate chips is something I would love to make and eat. Thanks, Candy! A fun cookie for sure! Girl! These look delicious. I love the flavor combos. Not your typical cookie. Perfect for summertime pool parties. Does this recipe really only use 1/4 cup flour? Ohmygoodness! No! It should be 2-1/4 cups (which I've updated). Thanks so much for your note and apologies for the inconvenience! Oh goodness these cookies look amazing! Thank you for the recipe. I will try to make these with my daughter who loves baking ! Thank you, Dalba! 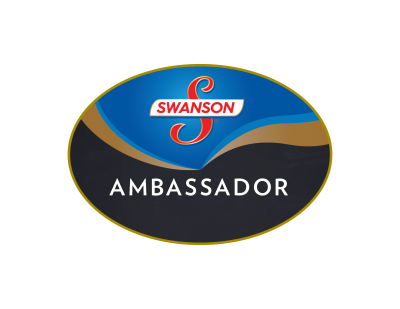 Have fun and enjoy the cookies! I hope you try them -- just to satisfy your curiosity Thanks, Amanda! Now that is what I call a cookie!!! These sound so good. These sound so yummy--I love anything with coconut. These cookies remind me of that harry Niellson song--"you put the lime in the coconut, then you feel better"
Thanks Cindy! Haha! Yes, good memory! What an amazing combo. I love coconut anything. Definitely trying these out. Thanks, Marisa! I love coconut, too! What a delicious combo! I just pinned this...I can't wait to make them! Thanks so much, Ashley! Hope you like them! These look so good. kinda making me want some lemonade with them too. lol YUM. Ooo! That would be good (and springy)! Thanks, Alicia! so cute and lime & coconut...yum!!! Thanks for your kind words, Sally! I know, I just want a little longer to have some chill in the air (and more time to work on bathing suit body)! Thanks, Rachel! Oh! It would be so fun to serve these for your party - perfect theme! These are the most gorgeous cookies!!! The flavors of lime and coconut are so perfect together, but the white chocolate takes it to a whole other level. Well done! These flavors are classic! We'd have to make two batches of these cookies because one wouldn't last more than a day. What a wonderful idea. Ha! Thanks so much, Kimberly! They are definitely yummy! Thanks, Tescha! Yes, it's always nice when you don't have to search high and low for ingredients! Cheers! These are everything I need in my life. I'm pinning this, because I HAVE to try them. YUM. I'm happy to hear that, Angie Hope you like them! Thank you! Coconut and lime is my favorite flavor combo, so this is RIGHT up my alley. I can't wait to give this recipe a try. Thanks, Stephanie! Then I bet you'll like 'em! Cheers!